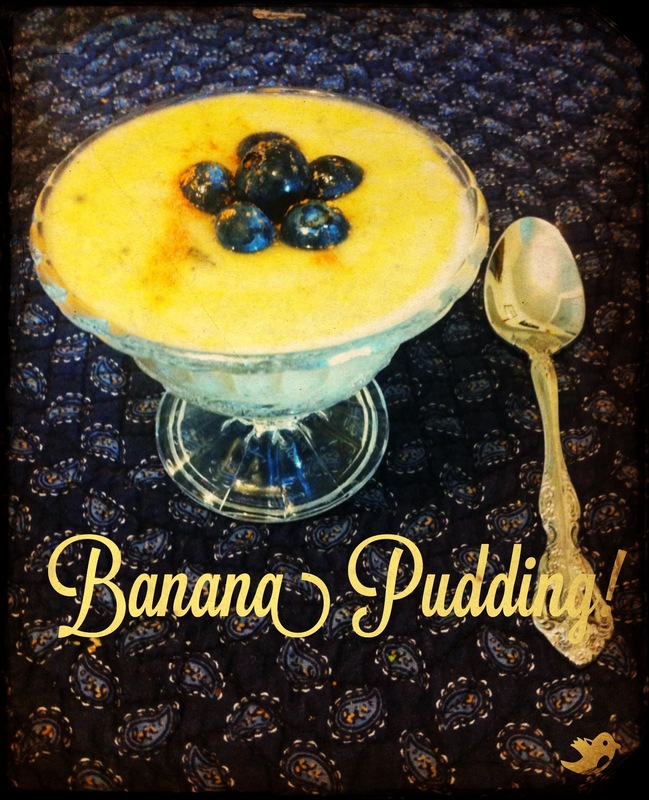 Fresh Fruit Fit: Banana Pudding! MMMmmm.... chilled, refreshing, creamy, smooth, sweet banana pudding... gotta love the stuff! In fact, I've been loving it so much I've had it for breakfast lunch and dinner the past couple days (in addition to other stuff, of course)! Peel fresh bananas and throw into blender, then put the frozen bananas on top. Blend till smooth. If using a Vitamix, you'll need to slowly blend to high speed while using the plunger. Then once you get a good amount of liquified banana, just pulse it to keep the bananas from oxidizing too much and losing any sweetness. If using a regular blender, blend some then turn off the blender and press the bananas down. Repeat, then pulse till smooth. Pour into a pretty glass, and top with blueberries and a dash of cinnamon.